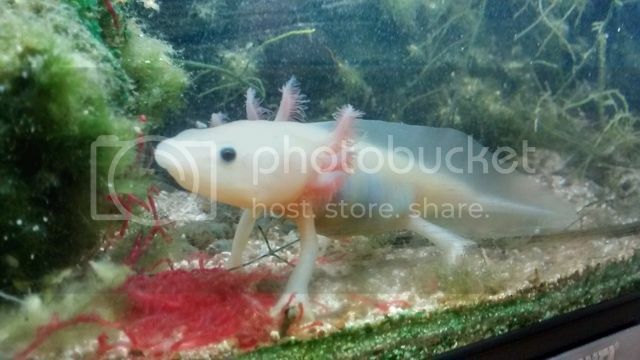 Iv always wanted a Axolotl and i finally decided to go for it. He is in my planted 20gal. Whooper is very cool!! I'm going to have to look him up. I've never heard of one of those before. Looks like he is enjoying a yummy blood worm meal. I got cherry shrimp in the hope they would establish a population in the tank before he ate them...... Ate my female 2 mins after adding them . silly shrimp walked on his nose!!!!! I am also trying white cloud mountain minnows.... so far it looks like a good match. I am trying out 6 for a week and will get 6 more if all is well. 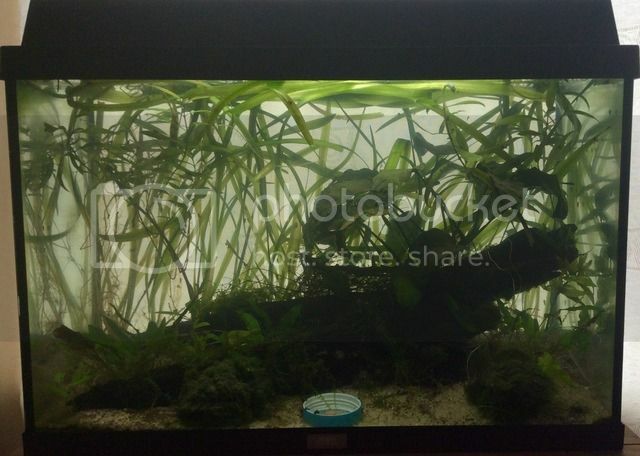 Hopefully i get a breeding pop going.... would be nice to have renewable source of live food in the tank =D. I decided to keep him on his own..... .
Id need a much larger tank to keep them with fish. 2 minnows disappeared over the 2 weeks out of 12 so i decided to move them to my 35gal.